Pick your path through Gotham as both Batman and Bruce Wayne. Telltale’s choose-your-own-adventure game approach has become a formula, but it’s a reliably strong one that seems to work with nearly any kind of story. It really soared with The Walking Dead, which has spanned two core seasons (with a third starting next month) and a spinoff mini-series, but has since been applied to everything from Game of Thrones to Minecraft: Story Mode. 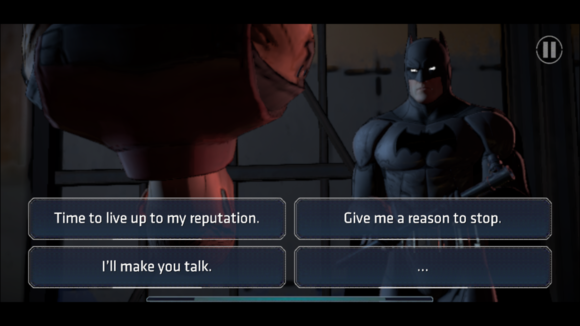 And now The Dark Knight is the star of his own Telltale series: a five-part affair that lets you play as both Batman and Bruce Wayne as you navigate an original storyline that deviates sharply from the classic comic narratives. 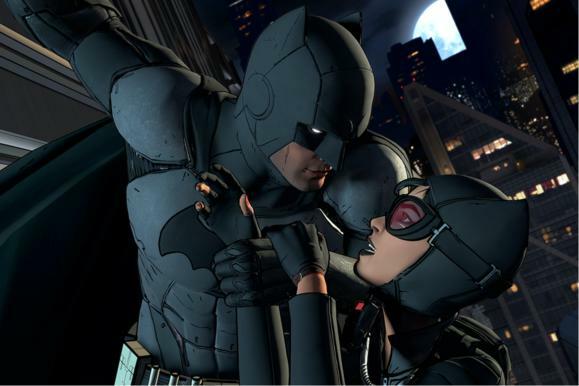 Batman: The Telltale Series looks like it was ripped right out of the pages of a DC Comics book, with a host of familiar villains and allies in the mix, but now you’re making decisions that affect both Batman’s future and the Wayne legacy. How aggressive will your Batman be? Your choices help shape his future path. The first two episodes are out for iOS devices now, with three more coming in this first season, and it’s a smart fit for mobile with simple controls and bite-sized chunks built for commutes and lunch breaks. Eager for a comic adventure you can control? 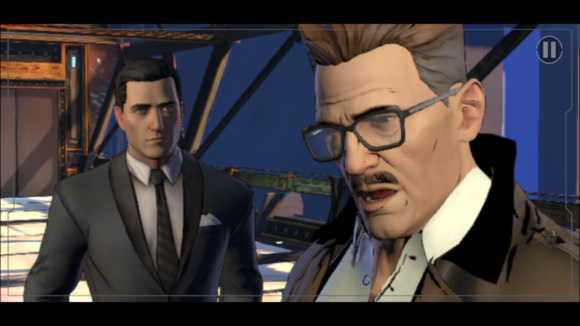 Here’s why you should jump on Batman: The Telltale Series while the story is still early. It’s a playable comic: Between The Walking Dead and The Wolf Among Us (based on Fables), Telltale has shown that it can take a classic comic universe and create a compelling game narrative out of it. That’s no different with Batman so far. Episode one starts off a little slow, but it’s setting the table and allowing you to build and shape relationships that will reverberate throughout the series. The cinematic action sequences rely on timely taps and swipes. By the time that first episode finishes, you’re left with a shocking revelation that will propel the rest of the tale and really shakes up the accepted lore of the Caped Crusader. As the second episode starts, we see one of those key Batman moments portrayed in a new light, as we learn some unsettling info about Bruce Wayne’s heritage and means. It adds a new wrinkle to the Bat-verse, and what’s available so far has me interested in sticking around for the ending. But it’s your call: And that ending will be partially up to you, of course. Telltale’s trademark adventure design allows you to make dialogue choices that affect relationships, as well as pick between key options along the way that help direct the story to its ultimate conclusion. Each decision adds up along the way, and affects how both Batman and Bruce Wayne are perceived by the public, by friends, and by foes. How cozy your relationship is with Detective Gordon could prove pretty important later on. 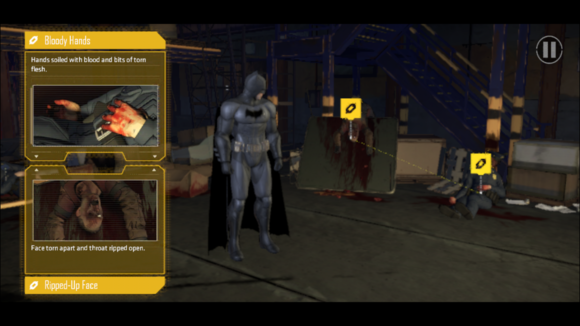 Telltale’s series puts some of the key struggles of Batman’s essence in your hands. Is Batman a violent killer, willing to do anything necessary to save Gotham, or does he resist the urge to go too far? And is Bruce Wayne a decent person who uses his money and influence only for good, or does he trade favors and use people for his own personal benefit? We’ve seen different interpretations of the character in various media over the years, but now it’s your turn to guide the adventure. It’s (mostly) ideal for mobile: Point-and-click adventure games always do well on touch devices because of their simplicity, and that’s especially true with Telltale games. You’ll tap conversation options, tap or swipe to attack or dodge, and tap icons in the world to investigate crime scenes, link together evidence, or plan out an assault. Telltale’s adaptation has a hard edge to it, which includes sorting out this gruesome crime scene. Each episode lasts a couple hours, and offers roughly 20-minute chunks that you can fit into your everyday life. Having a game like this on your phone is a real treat in that respect, and each episode costs about as much as a modern comic book ($5) but takes about 10 times longer to experience. And the bundle pack for episodes 2 through 5 will save you another $5 over buying the rest of them individually. Unfortunately, this recommendation comes with some caveats for now: Telltale games have sometimes launched with issues on mobile, and that’s definitely true with Batman on iOS for now. I’m playing on an iPhone 7 Plus, and even with the best-possible device, the graphics are very inconsistent and tend to look blurry, while the mostly non-essential in-game text can be nearly unreadable at times. Users with older devices have had more pronounced performance issues, as App Store reviews clearly show, but hopefully these are patched out soon. If you have a newer iPhone or iPad—or can wait out the glitches—this is a compelling comic adventure that is just now heating up, and promises to be appointment gaming over the next few months to come.